China’s surprise 2-1 loss to Turkey in the 2017 IIHF Ice Hockey U20 World Championship Division III final will not dint the confidence of new head coach Alexander Barkov. The experienced Russian coach, who also played and coached in Finland and is the father of Finnish national team and NHL forward Aleksander Barkov, was hired late to become the head coach of the Chinese men’s under-20 side that was expected to win the U20 Division III gold medal. China was demoted from Division II Group B last year and was desperate to get promotion back to the higher grade. There is an air of expectation in Chinese ice hockey circles that the Beijing Winter Olympics in 2022 will lift the profile and standard of the sport in their country. China is currently ranked 37th in the world. If it stayed at this level they would be easy beats at the Olympic Games. Therefore there are ambitions to make China Olympic-ready. “We don’t want to go there at the level where hockey in China is now. We are determined to improve the hockey standard in China,” the 51-year-old Barkov said. Barkov and his assistants have only been working with the Chinese under-20 national since being appointed late in December. In that short time he has improved the speed on the ice and the attitude of the Chinese players. But there remains a lot of work to do. But his ambitions for Chinese hockey go further than this. He wants China to be competitive at the 2022 Olympics Winter Games in Beijing. The surprise 2-1 loss has shown Barkov that there is work to be done to get his team winning tight games when there is sustained pressure from their opponents. 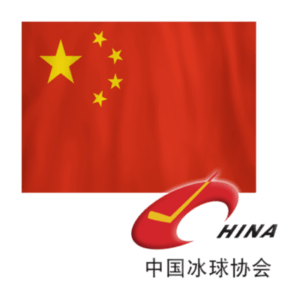 The job at the moment for Barkov is to build a hockey system in China that will lift the ranking of China from 37th where it stands at the moment. He has a contract to work with Chinese hockey until the Winter Olympics in 2022. “This was just a first step because many of these players will be in the Chinese Olympic team then,” Barkov said. The Chinese team demonstrated sound team work on the ice and the speed of the players on the ice has improved. They play a European style of hockey and know how to use every part of the ice rink. “We always use as much of the ice as is possible,” Barkov said. “We try to use the skills that the players have. We are not asking them to do anything they cannot do. Barkov, a former centre, had a long career in the Soviet Union with his hometown team Sibir Novosibirsk and Spartak Moscow. After a short stint in Italy he later played for Tappara Tampere in Finland for ten years. He represented Russia at three World Championships (1992, 1997, 1999) and then started coaching. He was an junior coach at Tappara Tampere and an assistant coach for the senior team, then worked for Metallurg Magnitogorsk, Ak Bars Kazan and Amur Khabarovsk in the Kontinental Hockey League for four years. He then had a short stint with the Finnish under-20 team where the entire coaching staff was replaced during the 2017 IIHF World Junior Championship before becoming the Chinese coach afterwards. 30,000 spectators, 122 players, 165 volunteers, 7,000 prizes, a ton-and-a-half of props, instant consignment of photographs and much more. KHL.ru presents a statistical overview of the biggest hockey festival of the year – the Week of Hockey Stars in Ufa. In addition, every fan had the chance to test his mettle as a hockey player in the leisure and entertainment facilities at the arena and the surrounding Fan Zone – comprising a total area of over 2,000 square meters and boasting more than 30 different games and competitions. Those who visited the Coca-Cola stand could try their luck in a simulation of one of the contests from the Master Show, the Hockey Biathlon. In all, around 7,000 people went home from the event as the proud owner of one or more of the memorable prizes offered by partners of the KHL and the Week of Hockey Stars. The size of the audience and the activity of fans on social networks (comments, likes, retweets, etc.) during the Week of Hockey Stars was 50% higher than for the regular season. This was doubtless helped by the KHL Photoagency breaking new ground by using instant transfer of captured images to the League’s server, from where the photos could be downloaded and uploaded to the social networks by LIVE system, thereby providing fans with the latest and most relevant “hot” content. And the sharp drop in the time needed for edited pictures to appear on the KHL Photoblog allowed all the online followers to use the pictures on various information resources.